Mandai Bus Depot is a bus depot currently under construction along Mandai Road. The depot is integrated within the Mandai MRT Depot which supports the Thomson-East Coast Line (TEL). It is scheduled to be completed by 2018. Mandai Bus Depot is integrated within the Mandai MRT Depot which supports the Thomson-East Coast Line (TEL). The depot is intended to accommodate additional buses that are being introduced over the years, as the overall bus capacity increases under the Bus Service Enhancement Programme (BSEP) and Bus Contracting Model (BCM). The depot is scheduled to be completed by 2018 and will be equipped with facilities for daily bus operations, bus repair/ maintenance, bus parking, offices, rest area for bus drivers and canteen. When completed, the bus depot will most likely be handed over to the successful tenderer of the Sembawang–Yishun Bus Package, a group of around 24 bus services which SMRT Buses will be operating up till 1 September 2020. The depot will be handed over to the new Public Transport Operator for outfitting and preparatory works before operations can commence. 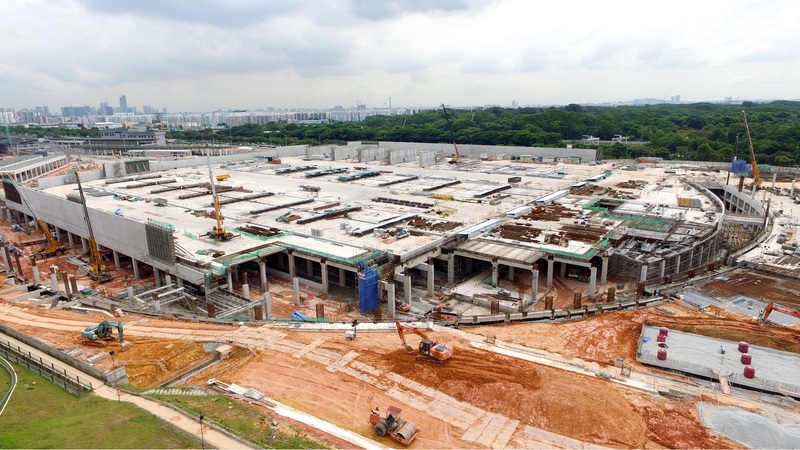 Contract CT201 for the construction of Mandai MRT and Bus Depot was awarded to Jurong Primewide Pte Ltd of Singapore, at a contract sum of S$329 million. Under the BCM, Mandai Bus Depot will likely be bundled together with 24 bus routes as part of the Sembawang–Yishun Bus Package. These routes would operate mainly from Buona Vista, Bukit Merah, HarbourFront, New Bridge Road, Queen Street, Shenton Way and Marina Centre Bus Interchanges and Terminals, with the Depot handling the operations of all buses operating on these routes. Sembawang–Yishun Bus Package contains 25 existing bus services, all of which are currently operated by SMRT Buses. Will SMRT hold carnival at Mandai if they retained Sembawang contract? The slap and some structures is already built,Kranji Depot need updated pictures.